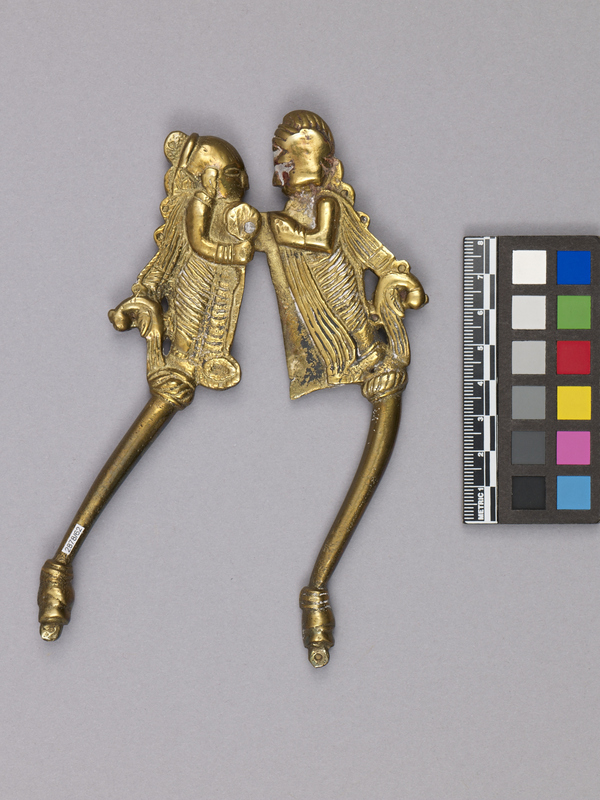 Item number 2878/62 from the MOA: University of British Columbia. 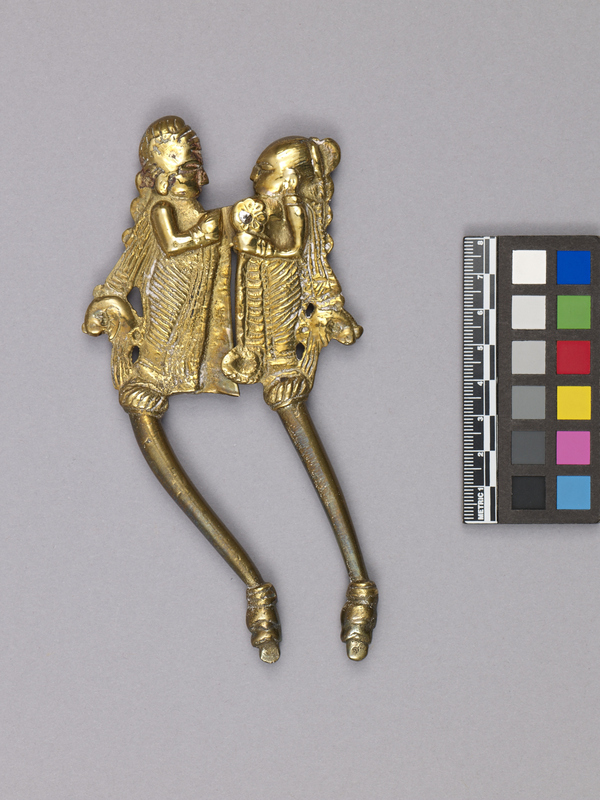 Brass betel nut cutter with two scissor-like hinged components, cast in a 'maithun' couple motif. One component is in the shape of a man and the other a woman. The figures face each other, the male figure has a blade-like section down his front which fits into a narrow opening down the front of the female body. One leg extends down from the bottom of each body, allowing for opening and closing the cutter.